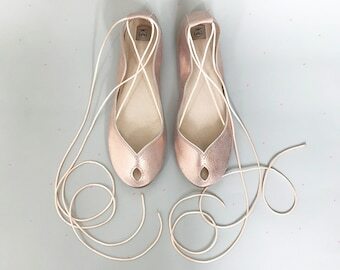 I ordered these beautiful flats to wear with my wedding dress to my garden wedding. They were even more beautiful in person than I could have imagined online! I received tons of compliments and will wear them again and again. 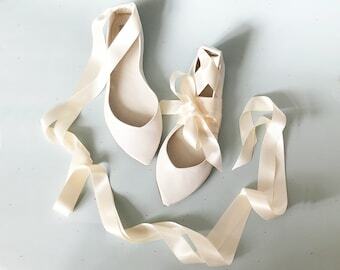 Ballet Flats With Ribbon. Brautschuhe. 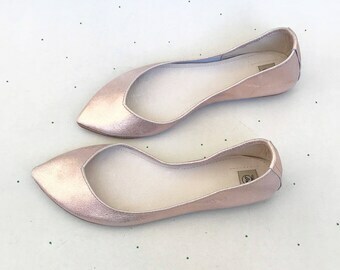 Wedding Ballet Flats. Mary Jane Shoes. Bridal Shoes. 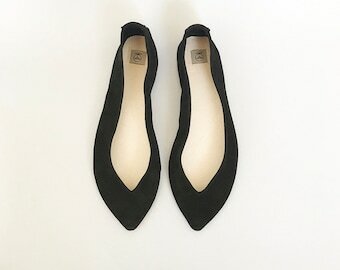 Flat Wedding Shoes. Low Heel Shoes. 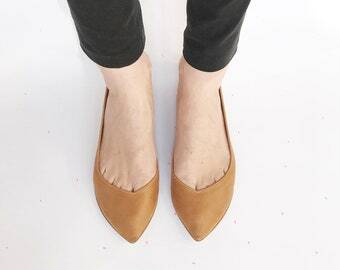 Shift to Spring mode with these Tan flats done with buttery Italian leather! I see them under a sundress or paired to a skinny jeans Which outfit will you match to these beauties? Shop them on my @etsy store! If you are into neutral, pastels, muted colors ... I have so many choices of secret leathers available! Let me craft the shoes of your dreams, contact me for special inquires! 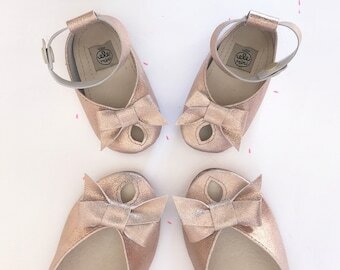 Totally in love for this mini version of my classic peep toe style in rose gold! Shop the •mommy and me• set on my Etsy store! I make every stitch with the utmost care, attention to details makes every pair unique! Whether you walk or run, I wish my shoes will come along while you're enjoying life! 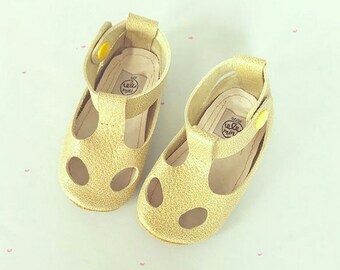 One of my happy customer with her little shoes on! Hurrah! Come, visit me in my studio! 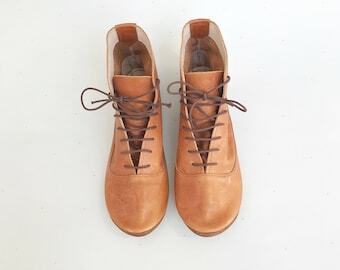 I'm Eleonora, Italian shoe designer, I design and personally craft leather shoes and accessories in an artisan, slow and handmade way, one by one, with great positive vibes and while listening to good music! Earlier in my professional journey, I've been working as shoes designer for big companies; at that time I had the chance to learn so much about shoe making processes but I also felt that the massive, impersonal industrial dimension didn't match with my own nature. I felt the need of bringing the concept of "work" to a more human, ethical and sustainable dimension; my wish was to give back to the concept of work its natural noble meaning. it’s especially a dream that is fading into reality. Now, with my artisanal project, I can enjoy curating the creative step as well as the executive one. Taking care of every step is continuously helping me grow professionally and thanks to the direct contact with all my lovely customers I also grow personally. I really loved getting back into the whole process, it’s almost like an artistic project, from the beginning to the end, the idea first blossoms in my mind and then magically comes out thru my hands, I feel so proud when a new pair is ready but it isn't just about creating, there's much more to come! I feel that the most powerful and gratifying side of my work is when I receive the signs of my customers happiness, when I receive few words of appreciation or any other love demonstration, I feel that my message arrived, all the energies I used to craft my accessories have found a sense, they make somebody smile, the circle is complete! thanks to all the people who believed and will believe in my dreams! I also run another Etsy shop filled with Vintage picks from Spain and Italy, come and visit! I've chosen this manufacturer for the high quality of their products and also because it's a small company managed by a family which, since 1978, carries a distinguished history for both top quality and high standard conditions for their employers. 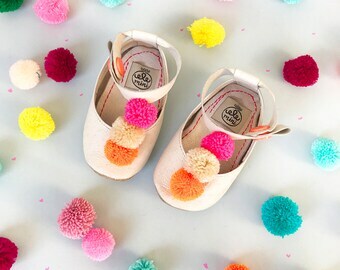 Treat yourself with a unique pair of handmade, soft and super cute shoes! Pick your favorite style and color, I will be delighted to personally craft a pair especially and only for you! Finding in nature and music an endless source of inspiration, I’m delighted crafting in my sunny and colorful studio; quality construction is extremely important to me and I really enjoy taking care of each single detail. All the materials I use have been selected from the finest Italian leathers. Thank you for stopping by, I wish you will have a nice time here! To make your shopping easy, please take a few moments to read through my shop policies. If you still have any questions, please, do not hesitate to contact me! I want you to be delighted with your new accessory, however, if for any reason, there is a problem with a purchase, please email me at the earliest opportunity so that I can put things right. As I mostly work on bespoke orders and I craft the shoes only upon request, once I'll receive your order, I will craft the shoes especially and only for you so, unless I send a different size/color to the one you've ordered, I don't take back or refund shoes; please, note that all the measurements are indicated in the listing text, check my size chart and sizing suggestions before your purchase, if you still have some doubts, please, contact me, I'll be happy to help! All sales are final. No returns/No exchanges. Thank You very much!! I gladly accept payments through Etsy Direct Checkout, Etsy Gift Card and bank transfer for EU buyers. Unless stated, all the shoes are made to order, turnarond time depends to the quantity of orders I have on line, please, contact me for precise info. I can dispatch ready to ship accessories within 3 days of receiving the order, with the exception of weekend and bank holidays, in these cases this may be stretched up to 4 or 5 days. Any exceptions to this timescale will appear in my shop announcement. INTERNATIONAL Shipping is via DHL Express, a registered service which includes tracking number and signature on delivery. 2-3 working days for everywhere else. As a seller, I am not responsible for any customs duty or tax charged by your government on imported goods into your country so, please, make sure you are aware of your country's import charges for leather goods. I personally handcraft all the accessories, my studio is smoke and pet free. All items are carefully described and I do my best to offer you all the necessary measurements; please, be so kind to check this information before proceeding with your purchase! If you have some doubts or you need more information about size or fitting, please, contact me. 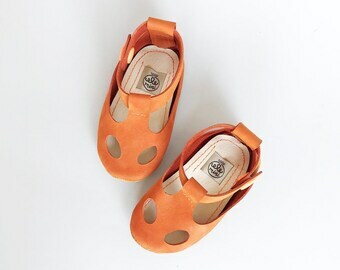 Please, consider that my shoes fit small, however, as the leathers I use are very soft, they tend to naturally stretch and after few uses they normally fit like a glove! Please note that generic conversion charts are quite approximate and may not correspond with my sizes/fitting. Bigger or smaller sizes are available upon request: please, contact me if you have a special size request. If you fancy another color or material, just let me know: I love custom orders and I will be happy to sew a pair for you! Please consider that the settings of each monitors are different, it means that colors may differ very slightly from the picture you see on your screen. I respect your privacy and do not sell or distribute any customer information under any circumstances, this includes my mailing list as well as any email info or personal info you provide. All of the accessories are based on Ele´s designs and not to be re-distributed, copied, imitated, or misappropriated in any way. 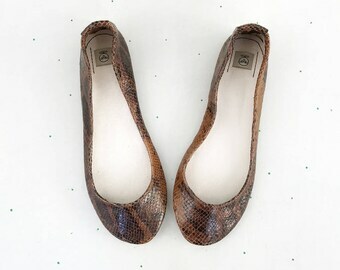 Please, note, I do not use reptile leather in any case for my accessories: all the material, both textiles and leather, are imitating reptile textures through prints or embossing. ♥ Grazie per aver visitato il mio negozio Etsy! Se preferisci, puoi contattarmi in italiano! ♥ ¡Gracias por visitar mi tienda Etsy! Si lo prefieres puedes contactarme en español!